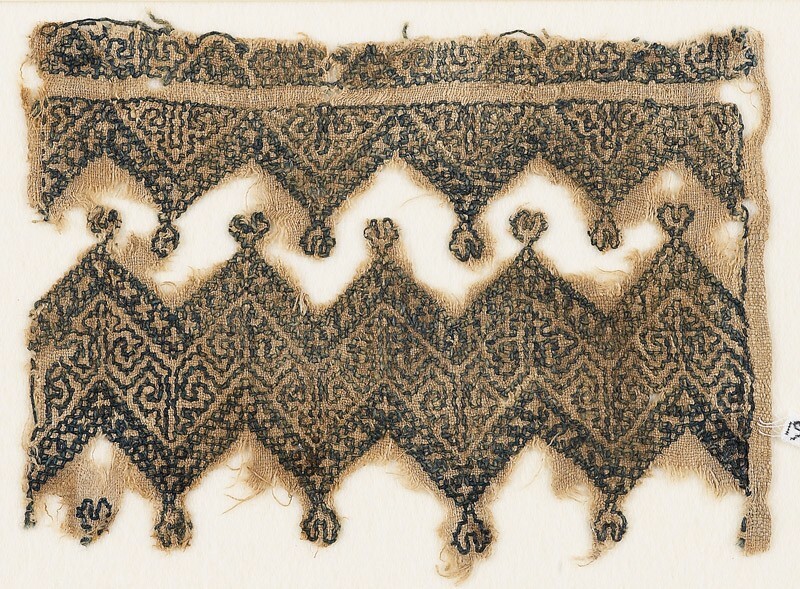 A wide band of intricate chevrons is filled with linked trefoils. The finials have small crescents attached. 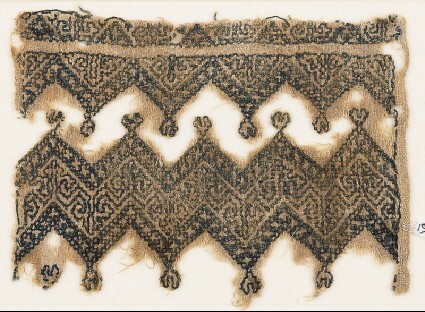 One half of the design, abbreviated to a row of linked triangles, is repeated parallel to the chevron band. A selvedge is at right angles to the chevron band.